A class of approximately 47 children having PE (remember some children may be absent) with 2 male members of staff. Notice also that a few of the children have bare feet. 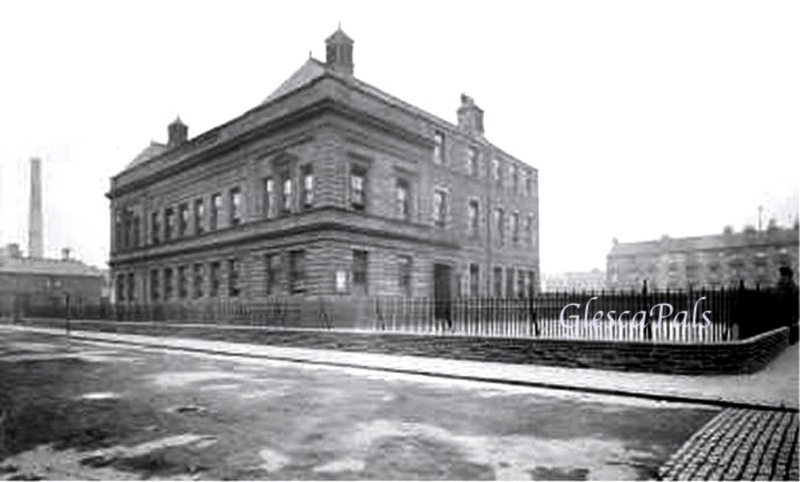 Some pictures are on the wall and a large poster for the Savings Bank of Glasgow in Ingram Street. The School Board encouraged pupils to open up bank accounts often starting with a penny. 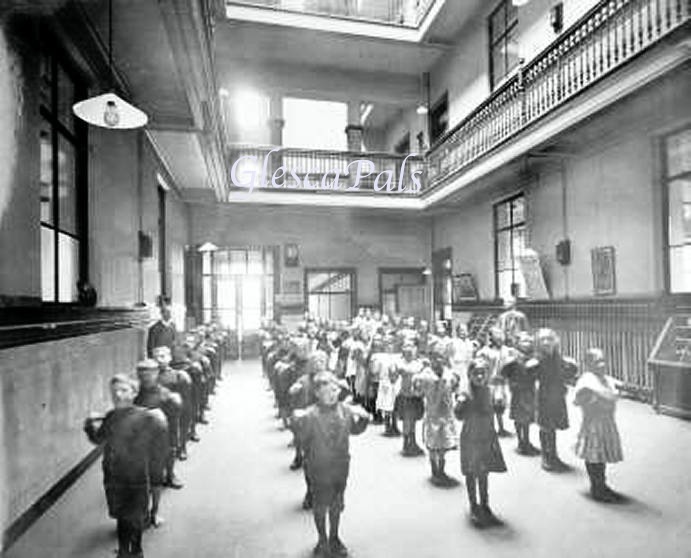 Children being fed school meals were given a medical inspection under the 1908 Education Act. Notice some of the children in bare feet. 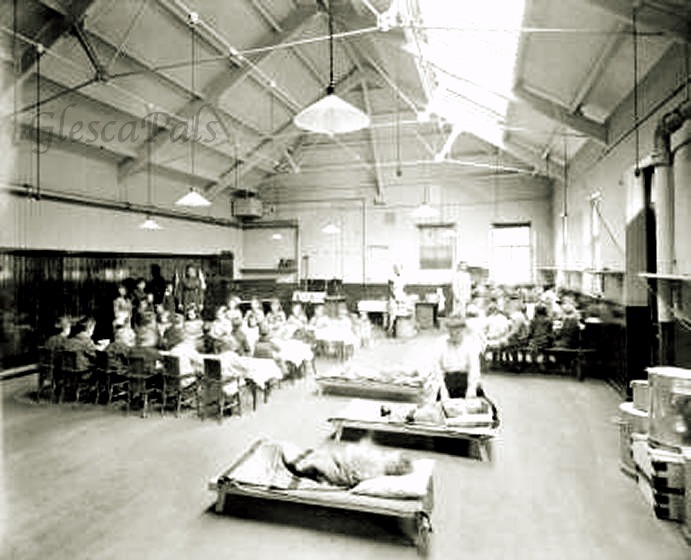 The room in which this photograph was taken may no longer be there as it was probably changed when the new level was added to the front of the building. It has been suggested that the beds for younger pupils may have been to assist working mothers. While the school may well have allowed some younger children to have an afternoon sleep it is unlikely it would be done in the same place as food was being consumed. Probably the beds were positioned there for the photograph. Observe the lady in the middle of the photo, wearing a white apron with dark sleeves - the box on which she has placed a plate bears an inscription - 'Dalmarnock' The meal, soup and bread would have been brought in.